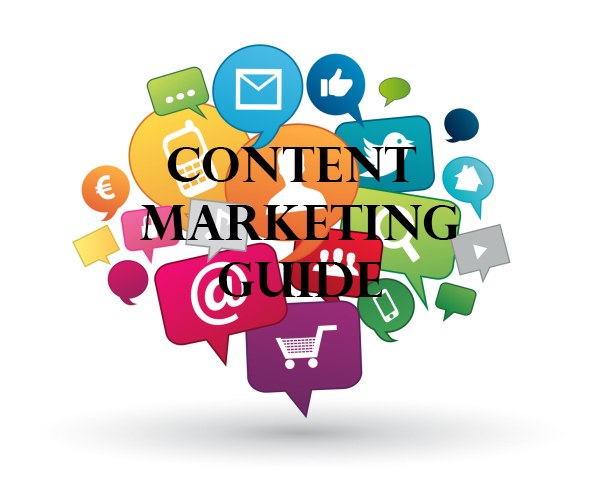 How can content marketing help satisfy a start-ups customer acquisition and quest for growth. Old sales tactics are declining and the push sales cycle can mean a new business is out of runway long before their business gets off the ground with revenue. The rapid change in buyer behaviour for both B2B and B2C means an unforgiving economic climate in which a start-up has to function. Thankfully, the meteoric rise of inbound marketing together with social selling has added a suite of new tools to the business sales and marketing toolkit. While the sales and marketing field have been levelled they are also becoming more complex as buyers seek out useful and valuable vendors via quality content as they self educate like never before. So how can a start-up business win with content marketing and what does it stand to gain from it? To develop a content marketing strategy, we must first understand the role of content in attracting the buyer in the digital economy. As buyers self educate online in both B2C and B2B markets they consume content as part of the buying journey. When we refer to “Content” we are referring to whitepapers, video, infographics, images, press releases, newsletters, help guides right through to thought leadership articles. Also, focus content themes and topics that match the interest of your “Ideal Customer Profiles” or “Buyer Personas”. When it comes to content curation do not consider content to be anything you find funny or amusing as you dive into the sea of digital content being published about your industry. Instead, think of content that adds value to customer or buyers journey, information that is useful and benefits the reader in some way. Start-ups who remember that content is bait and the better the content, the better the fish will have taken a big step towards getting their business moving forward. So ask yourself, “Who is your customer?” “What is their need?” and “How will you deliver on their need”. 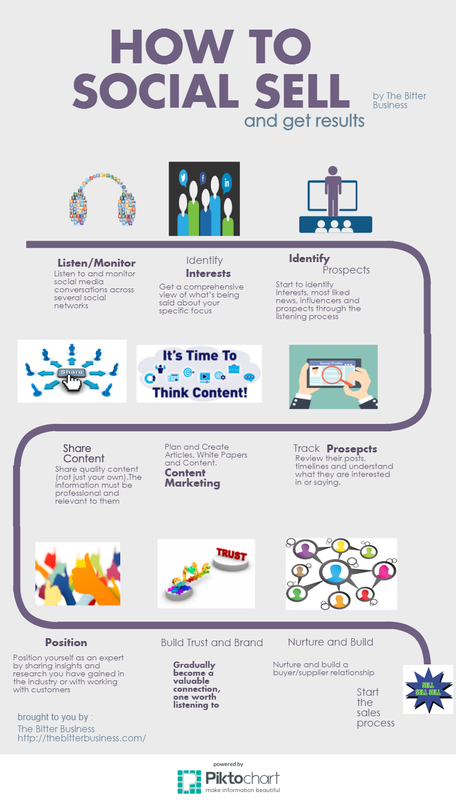 Now you can start to assemble a content marketing plan. The first step as mentioned above is to define your target audience (ideal customer profile/buyer persona) in terms of Firmographics, demographics, age, occupation, habits, etc. Then, the start-up needs to plan who and from where will they create and source a steady stream of content for publishing. Next it is time to research what is their favourite social media platforms. 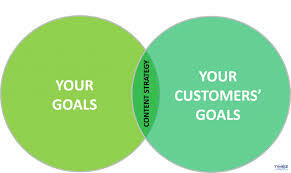 This information allows us to define clear goals and social KPI’s. These may cover items such as content views, content downloads, traffic, blog visitors, total traffic, social reach and social engagement. Now the start-up can proceed with moving their plans from the drawing board into social media reality. We know from research that over 75% of B2B buyers seek business information online. Over 90% of consumers now consume content prior to making an online purchase. So it is no surprise to know that one of the greatest benefits of content marketing is increasing the exposure to potential customers whether it is locally, nationally or globally. That is why building a social brand and social reach through content is closely tied to the process of developing closer relations with the target audience, and getting to know each other. The ultimate goal of any content plan is to inform, educate, engage, inspire, and spark attention. This is no easy task as the work of attracting buyer’s attention has fierce competition. The best shot for a new business is to become a valuable information source with real insights and fresh, challenging points of view. Content blindness or overload can be avoided if the start-up can separate itself from the competition and rise above the noise generated by vanilla flavoured content. 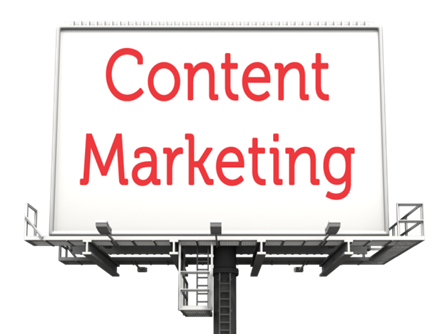 Also it is important to avoid the pitfalls that go with content marketing. Don’t be tempted to write about product superiority and service excellence without social proof which may include influencer opinions or valid customer reviews. Do not overlook the value of visual content and videos. A whooping eight seven percent of the top posts on Facebook have pictures included, while it is thirty five percent on Twitter. Another critical point is to convey the businesses personality and social purpose. Content should reflect the business culture and be used to plant seeds with targeted buyers on your beliefs and philosophy around serving customers. Finally, create a content sharing schedule so that the selected content must is posted regularly. Creating a calendar is paramount, as this enables start-ups to plan themes and topics to match buyer interests while scheduling posts ahead of time. Content creation falls into two main categories, “First click content” and “Second click content”. First click content is designed around the search engine optimisation (SEO) and driving traffic. It is heavily keyword focused with “Tips” “Guides” and “How to” type content the best themes to ensure sharing and thus getting the content at the forefront of search engine results page (SERP). Using content to build inbound links is one of the best marketing strategies there is, so ensure your content publishing engine knows what keywords to target. Remember Google carefully monitors the content surrounding the anchor link (title, topic, theme, keywords) so it is vital that the quality of the content has to be top-drawer when doing link building. Other aspects of a content publishing plan are to monitor industry trends and new relevant keywords as to develop content or visuals. Identifying these elements can boost a business’s search ranking and drive more traffic. While content marketing can be an inexpensive, yet highly effective lead generation method to reach ideal customer profiles, it does require investment in the production of the assets to be published. Create a content publishing engine that will help your start-up to attain a position of industry leader over a period of months. Sometimes if not often start-ups have little room for manoeuvre and must operate on a shoestring budget. So to make every Euro count, content marketing can have both short tailed and long tailed benefits by aligning all social media marketing to target buyers supported by quality, relevant content. A sense of paranoid can be healthy when launching a new business; one can live or die by their ability to quickly identify real wants and needs of buyers. The runway to getting the start-up of the ground maybe shorter than you think with more effort than you planned. This requires social selling with content, social media marketing, social reach and social engagement. To pull this off, the business must make the best use of content marketing strategies. Relevant, regular, appropriately themed quality content that engages the target audience to find you useful and valuable is the only way to make a name for the business quickly. If content is king, then badly written, irrelevant or copied articles, have little chance of becoming royalty. Always refer to the plan and only produce content that is tailored to the needs of the customers. It is about using content to be seen, be found, be useful and be valuable in the eyes and minds of buyers so the start-up can generate revenue sooner rather than later. 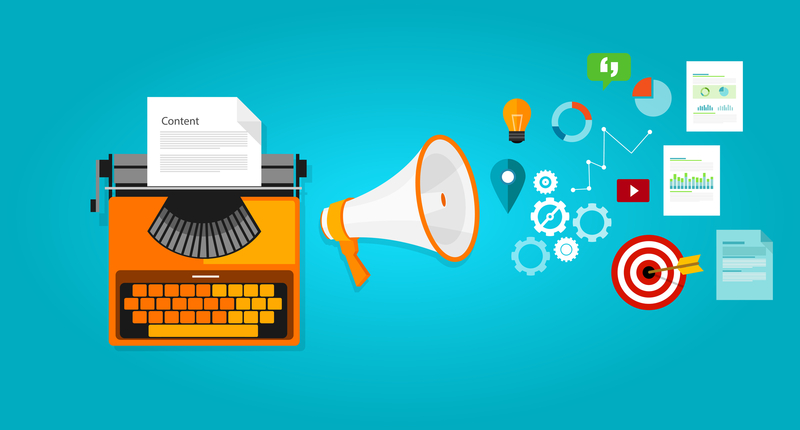 How to Use Content Marketing the ACD way. Many companies struggle in how to use content marketing to drive their sales or business upwards. No big surprise as today’s buyer is more educated and savvy than ever. Smart marketing leaders know that traditional marketing methods are becoming less and less effective by the day, so turning to social media and content marketing as a means to drive traffic and leads makes sense . In fact social media/online advertising will overtake traditional advertising this year, posing opportunities and challenges for many companies. But social media and content marketing is not the same thing. Yes they do operate hand in glove with each other however one is focused on “consumption” while the other is based on “participation”. The goal of content is audience consumption, while social media is all about audience participation. According to the Content Marketing Institute, 80% of decision makers prefer to get company information in a series of articles versus advertisements. So think of content as a beautifully prepared meal that people want to consume, social media as the room where they sit talking about the lovely meal they just have eaten and social networking is how you make people aware of your food in the first place. They key to using content marketing is to create different meals aka content themes (chicken dinners become boring after a while) to keep people coming back for more. The same way we create different meals for different times of the day or weather, we also need to vary our content according to the different stages our prospective buyers are at. I believe your content tactics should mirror both your company stage of development and your sales pipeline. ACD content marketing focuses the type of content created to match the three stages in customer acquisition. These are Awareness, Consideration and Decision. Awareness content is heavily SEO focused, a new business or one targeting a set of keywords for Google traffic will create allot of this type of content. It is aimed at potential buyers whom have no previous awareness or interaction with your business. The goal here is using keyworded content to get searched and seen by as many people as possible. Themes for awareness content include such titles as – how to, tips on, a guide to etc. Social Media Sites like Twitter, Facebook, LinkedIn, Tumblr, Instagram, YouTube etc. Posted on Blogs – Medium, WordPress, LinkedIn Pulse and Blogger. As presentations on Slideshare or Learnist. Visuals (including Infographics) on Visual.ly or Imgur. SEO link building to places like Scoop.it, Quora, Pearltrees. This type of content is usually on-going as a business targets new keywords or sets of customers. It is important to capture their interest via newsletter or update sign-ups. Then you can now move to creating “consideration content” or content that is focused on getting customers to select you as a vendor. As you build traffic, repeat visitors, newsletter subscriptions and social network connections a business should start to blend in consideration type content into their content strategy. This is where you use content to nurture (lead nurturing) prospective customers. The goal is to create content that will “nurturing the customer” meaning informing them on why/how your product or solutions will solve their problems. At the beginning consideration and awareness content can often be have similar traits as in keyword focused, but try to leave the SEO to aside as you progress, switching the focus on going deeper with informative and insightful content. The content is still served up on all the channels lists in the previous section plus emailed to your subscriber base. 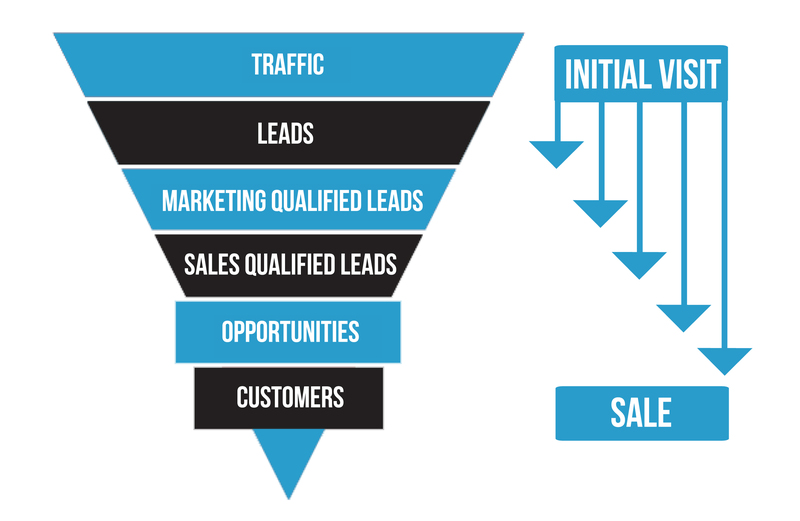 Decision content is offered to your qualified leads (sales and marketing working together) from lead nurturing them during the consideration phase. 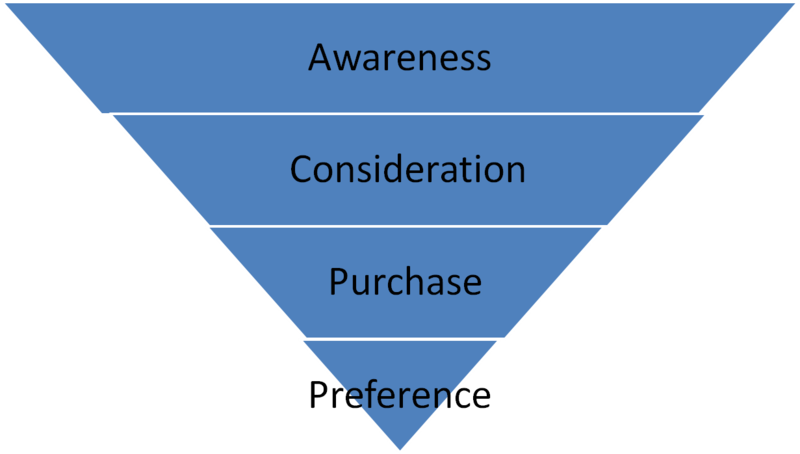 This content should be personalised, specific and introduced at the right time in the sales process. I suggest business splits decision content into “pre-close” and “post-close”. Pre-close content can be vital to closing a sale so should be planned out carefully. Lastly, there is the “post-close content”, this can include surveys, up-selling and cross selling content and referral requests. Ensure you create content to welcome new customers and solicit feedback as part of your content arsenal. Also make sure to produce content templates that thank them for their purchase. Also post-close content should include sharing information on your newest products and upgrades. 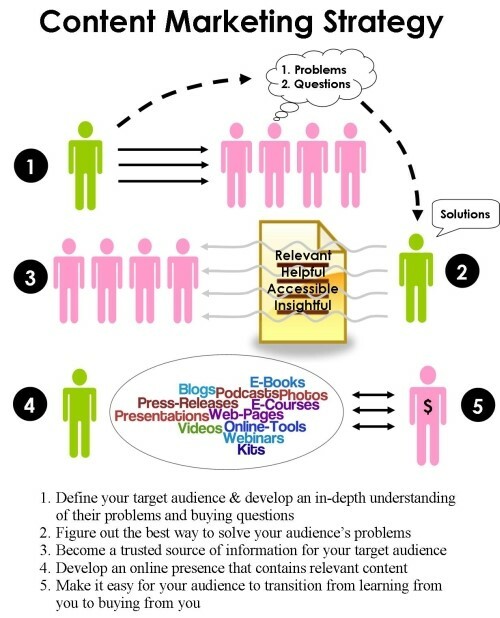 The ACD marketing method has other benefits, used correctly it can be a superb way to gather valuable insights. Content marketing is the marketing of the here and now plus the future. It will only develop in its sophistication and personalisation as the social media networks become central to sales and customer interactions. Content is the always on, 24/7 plug-in to the internet world, always there guiding your potential customers even when you are asleep. The key to to create attractive and appealing content that will be consumed by the reader that matches where they are in your sales pipeline. The Bitter Business can help create or work with your social media marketing or content marketing strategy, helping you to understand what type of content works and which aspect of your content creation needs to be improved to deliver more traffic, more leads and more customers. 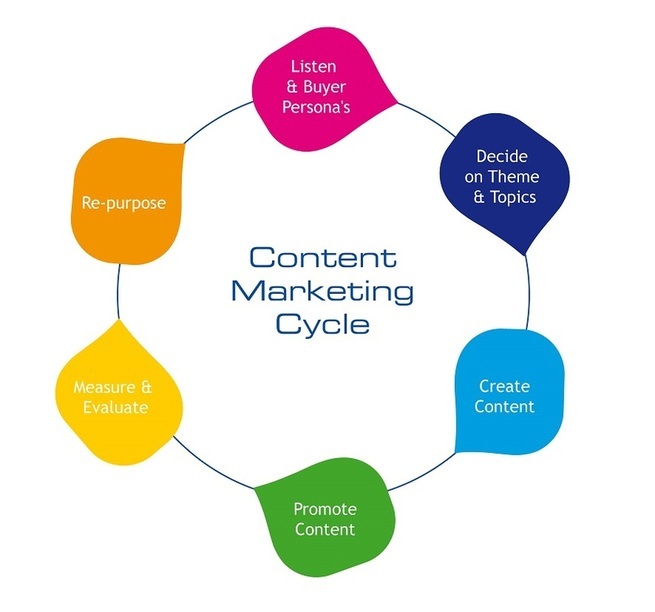 Content Marketing is the key driver upon which most inbound marketing and social media marketing tactics are built. 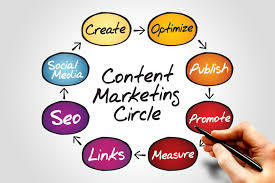 Content marketing not only impacts SEO, web traffic, leads and sales but also acts to influence buyers as they increasingly seek information before purchasing. Whether your business is B2C or B2B, the sharing of content (self-penned articles, general news articles, product, research and whitepapers) across social networks is now a must when it comes to promoting a product or service. The tips below are designed to help drive traffic to a website and generate more leads or sales. Apart from writing your own content, to really maximise social media marketing you also need to source interesting facts, expert insights, statistics, and trends on your industry and then share them on a constant basis to produce dramatic results on SEO and traffic results. Telling and sharing compelling stories is at the core of content marketing — tell the stories with images, videos and words. So step 1 is to focus on improving your ability to tell a story. Crafting words is at the heart of all storytelling; make the stories real, relevant, insightful, human and social to get people’s attention. Writing like most skills will develop with practice, so persevere to improve. You can start with article research by doing some keyword searches while also looking at the most read articles on social networks. Try to make your articles longer than 1000 words to maximise SEO. Then you can post the articles on lots of free social networks (LinkedIn, Twitter, Tumblr, Plurk, Google+, Scoop.it, and Storify) to get buyers attention as well as gather some quality backlinks to your website. A memorable title will get more readers while an optimised title will boost SEO. Just as the cover image can make or break sales on a new book the article title influences how many people will click to continue reading the rest of your article. So start with the end in mind and practice writing memorable titles that hits these 3 buttons – tempt the readers, drive engagement and optimised for searches. In social media there is no such thing as a one hit wonder. Once step 1 and step 2 are in play, the key is to be seen and seen often. Sharing quality content (not just your own), images and video on a consistent basis are a recipe for success. Set up a blog posting schedule or social network sharing calendar that ensures you have a plan to stick to. 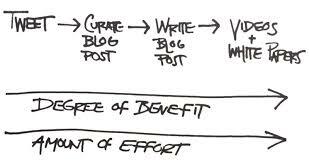 A good guide is to publish a thousand word blog post per week and then do a few social media updates daily. It may have been that you created your many social media profiles in a burst of activity but have since forgotten to update. Take the time to freshen up all your social media profiles and while you are at it why not review your social media strategy. Stay ahead of the pack by studying changes in the social media networks and any changes that could affect your social media activity. As you improve your article and content creation also make sure to focus on improving your ability to share your content across the social networks. Social media is about creating awareness and consideration for your brand, product or service. So promote (share) your press releases, blog posts, white papers or news on your social networks to your target audience (do not spray and pray). Create a list of social media skills you want to improve whether it is writing, posting, selected images, getting followers or joining in social conversations. If you want to improve your LinkedIn skills such as social selling or making connections then spend the time reading posts and articles on the subject. Pick one item from your list where you would like to see improvement and work on it. Email is not old hat. In fact it still plays an important role in inbound marketing and social media. How can you improve your sales pitch efforts, marketing message, the click through rate on email newsletters or even personalised emails to followers and connections? If you have already done some podcasts, cool, if not start thinking about doing your own podcasts. Dip your toe into the podcasting waters by finding out what podcast are popular in your industry or even find a podcast you could join in as a guest. Images can have a powerful impact when communicating stories, news or ideas. An graphic or infographic can simplify a complex concept or convey a story in a very succinct way. Marketing surveys show that powerful visuals will improve engagement with audiences leading to higher conversion rates. To be a thought lead in social media it helps to do more than sharing your insights. People and buyers love experts so try to expand your content marketing into areas like research or white papers. Expert lead or expert quoted content with data and trends has been proven to increase brand or product retention. There is no point investing hours of time in crafting articles and content then sharing them if they are not measured against your social media marketing goals. To finely tune your marketing you need to know what worked and what did not. Every plan can be strengthened, practices improved and marketing plans revised by doing some in-depth investigation on your digital marketing efforts. This review is vital for improved social media results and an opportunity to see where you got your best bang for your buck. The good news is the time taken to do a review will tell you where and how you can continue improve your content marketing skills. Finally to be really successful in content marketing, focus on improving your social media skills every day. Continued learning drives your ability to produce content on a consistent basis. If you apply these 11 tips to your social media activities, you will see gradual improvement in your skills and capacity to drive business results using content marketing.